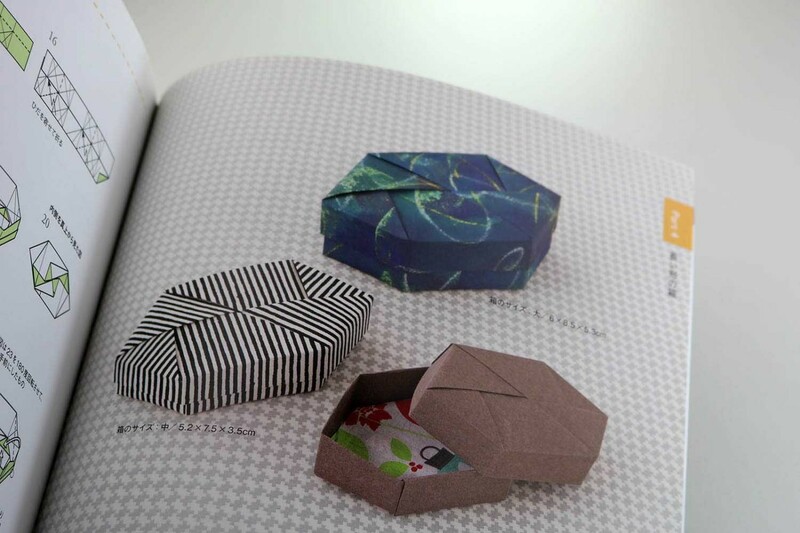 A rich offer for box lovers! 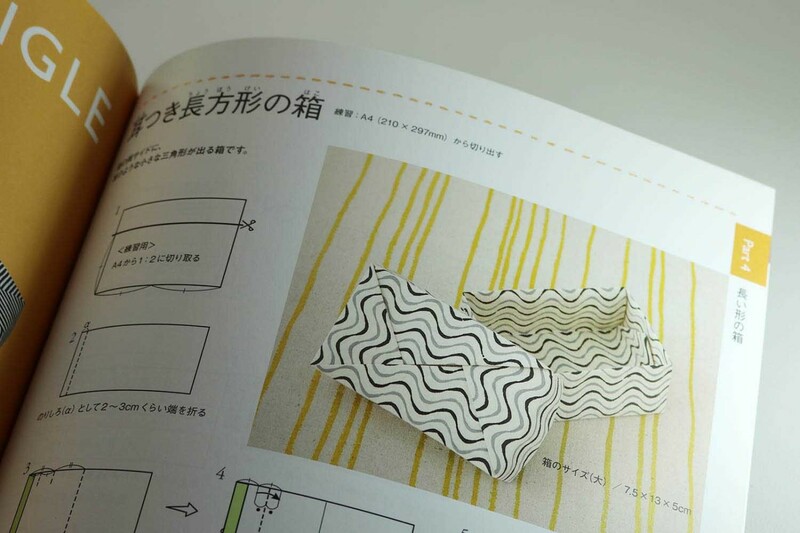 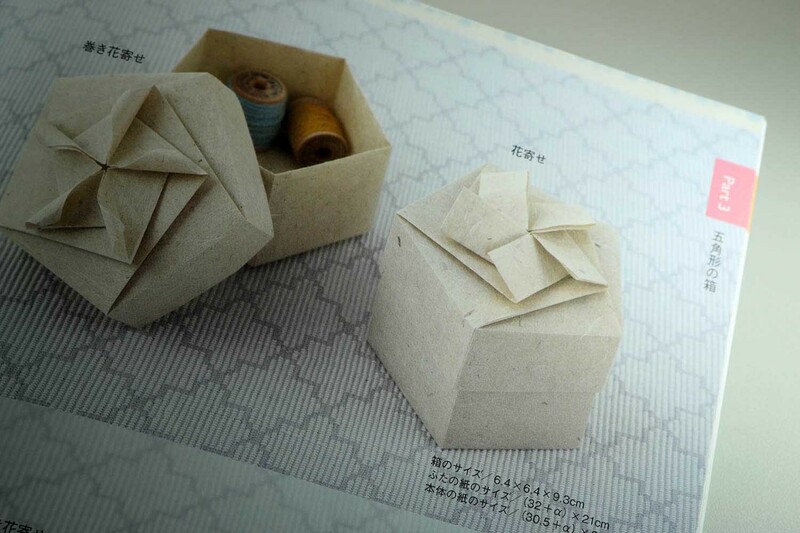 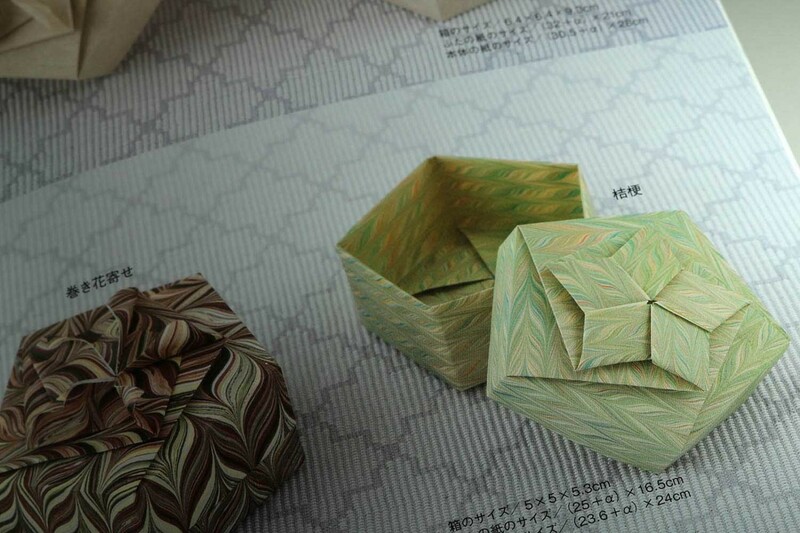 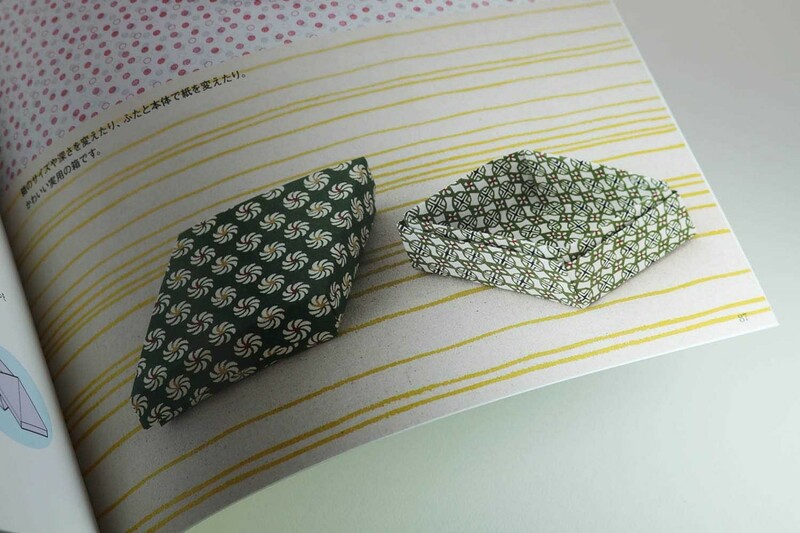 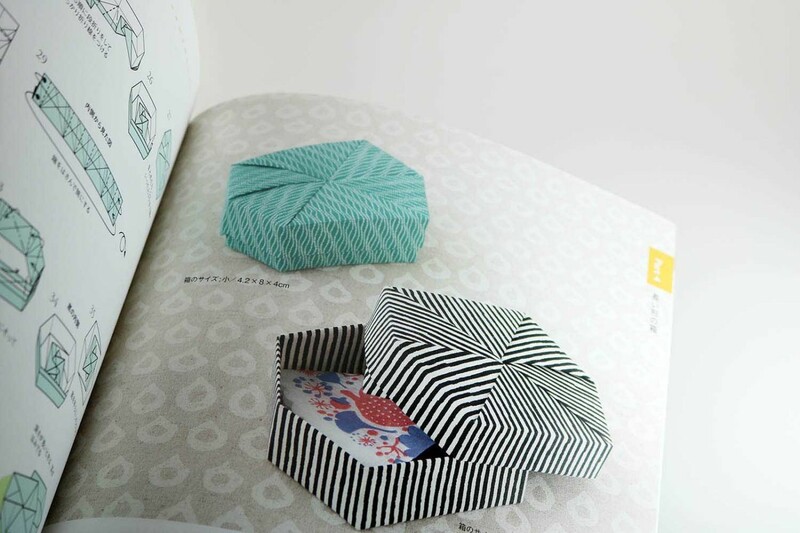 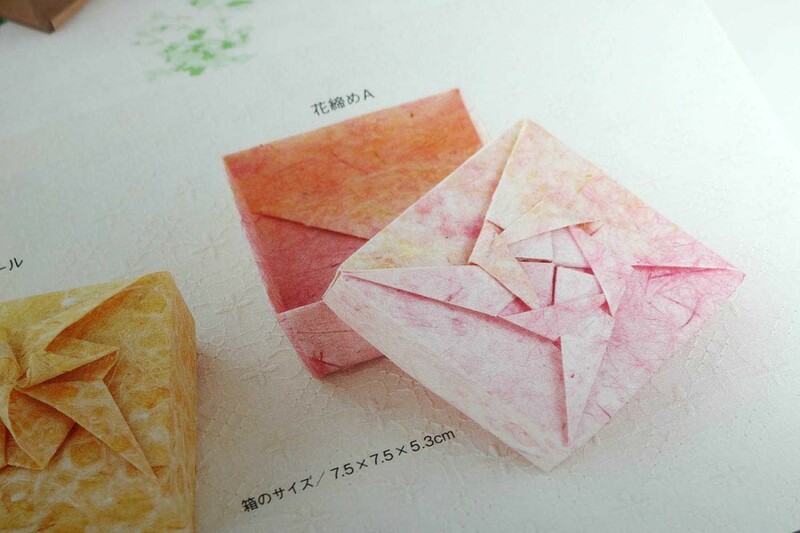 For all the boxes in this book, the lid and bottom are each folded from a single rectangular paper (based on the A4 size). 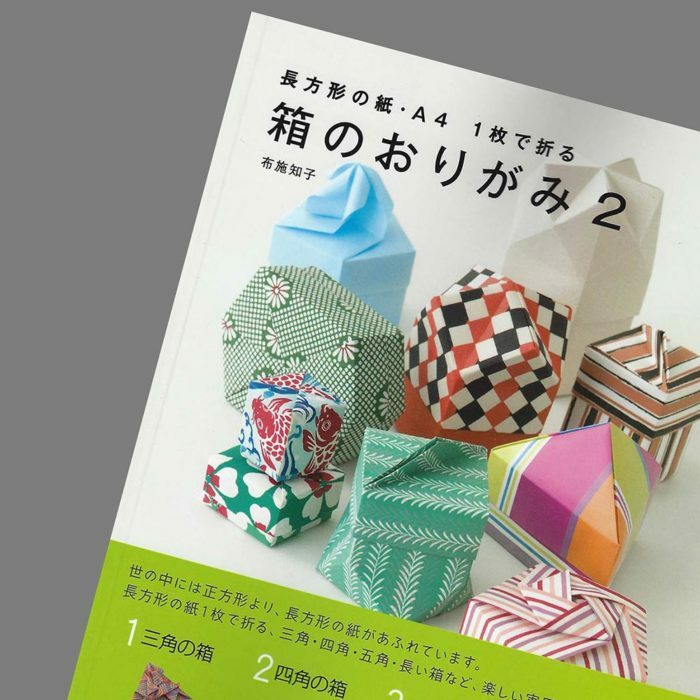 The book is divided into four chapters. 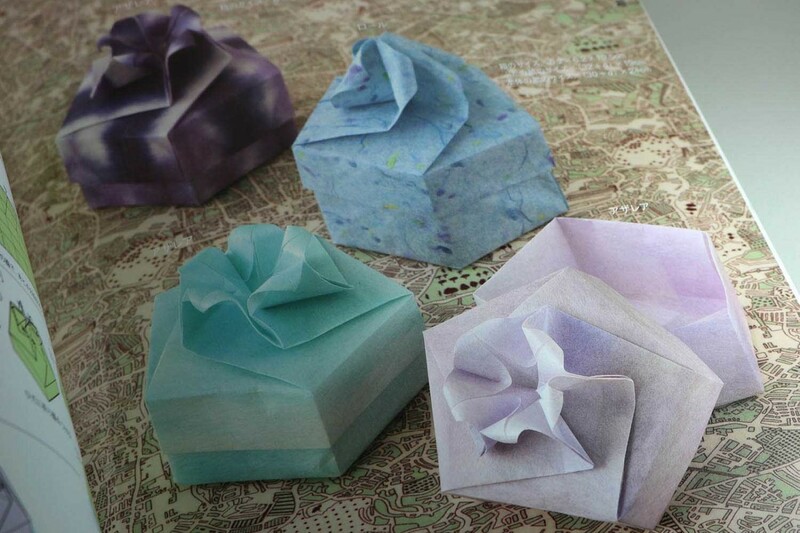 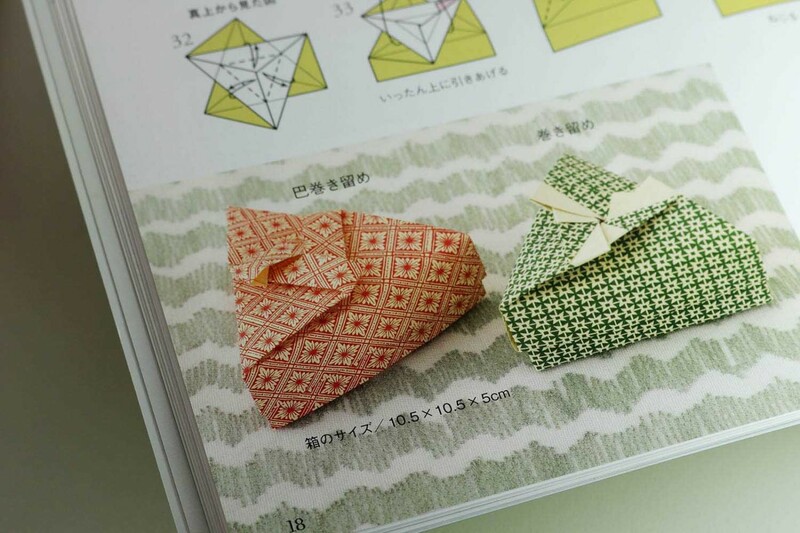 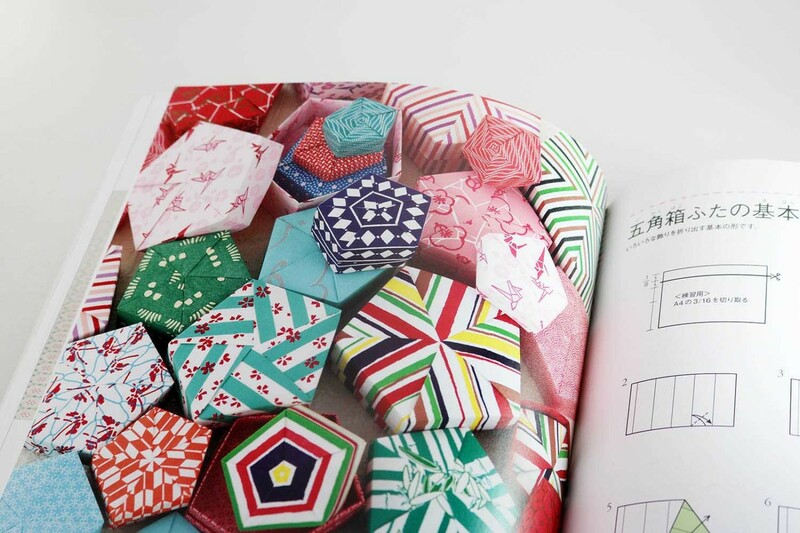 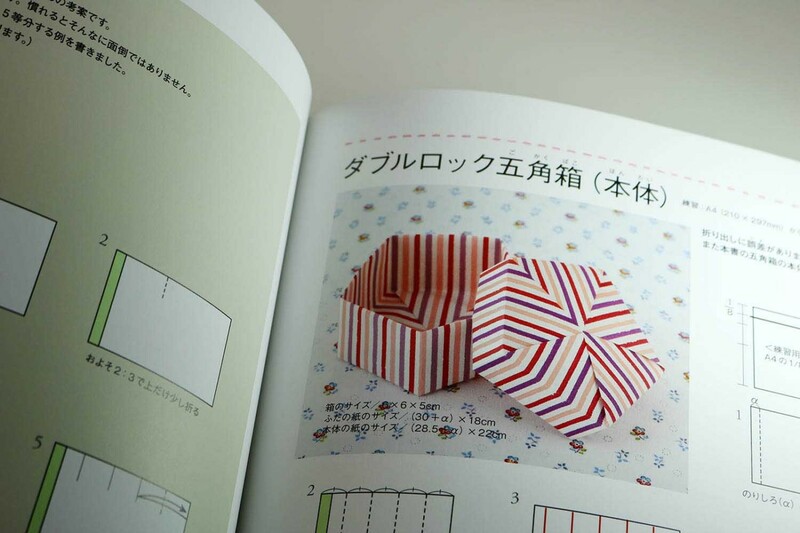 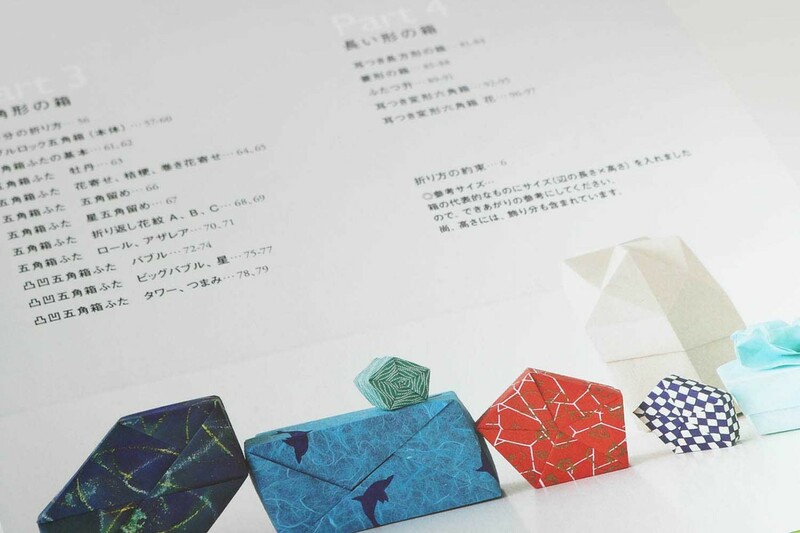 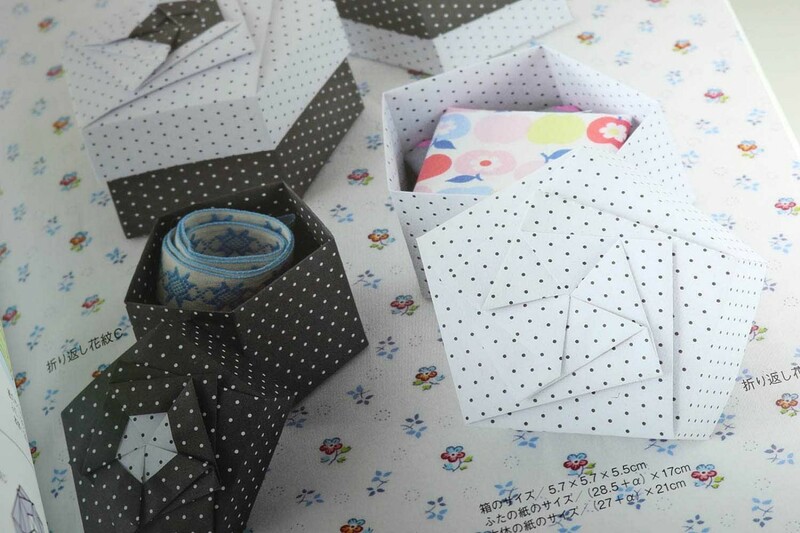 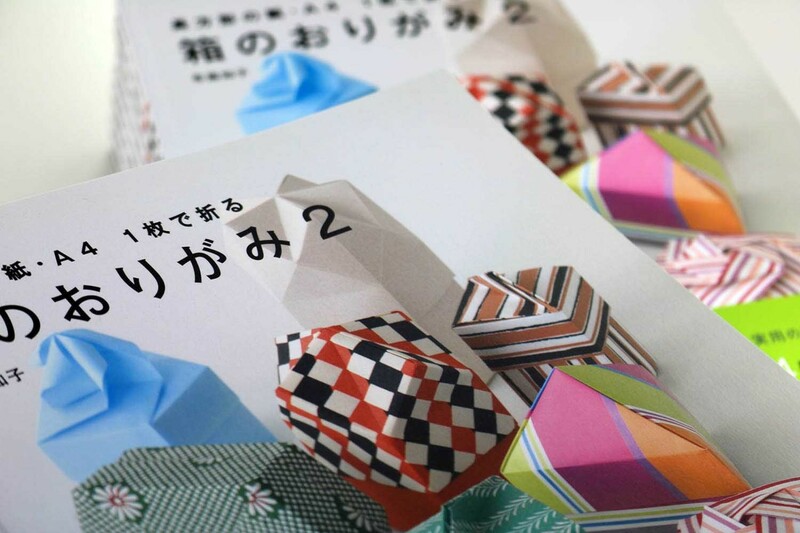 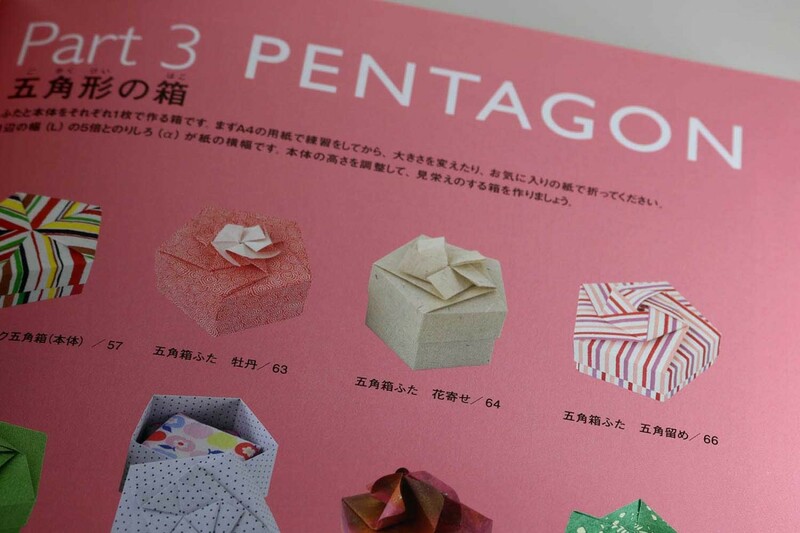 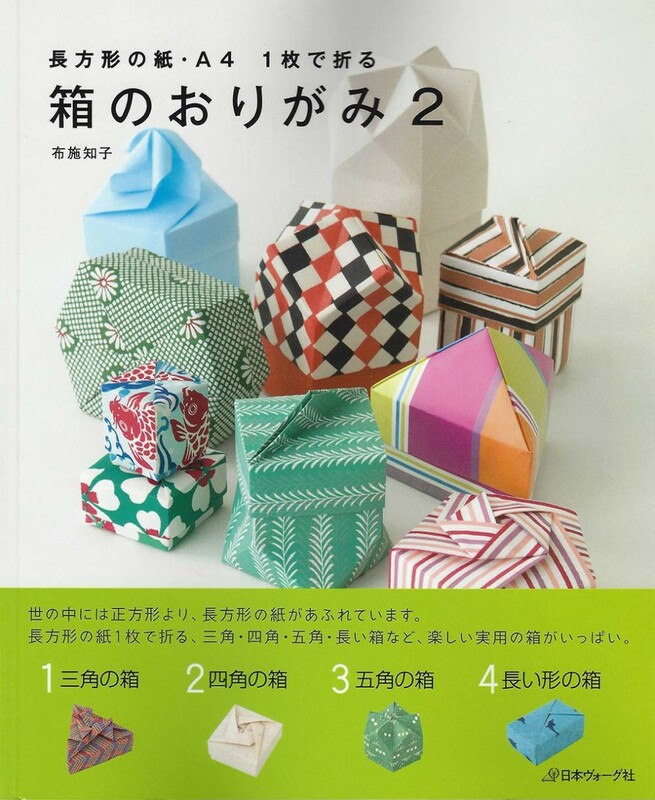 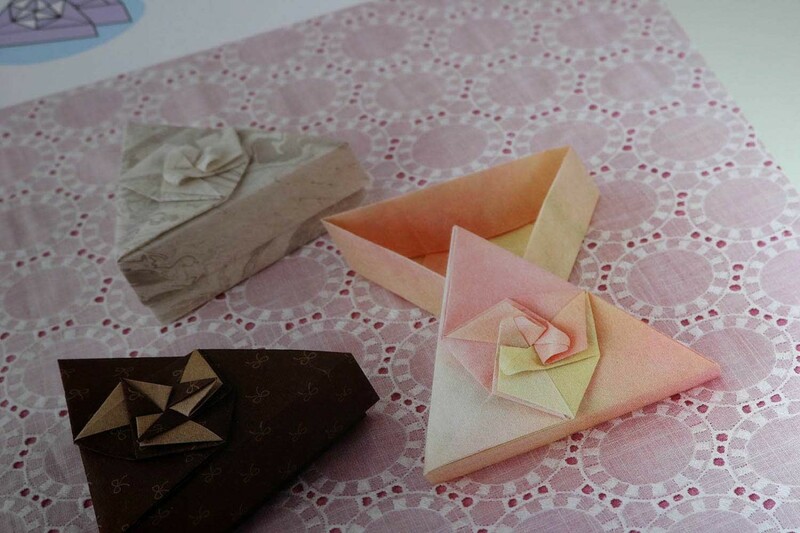 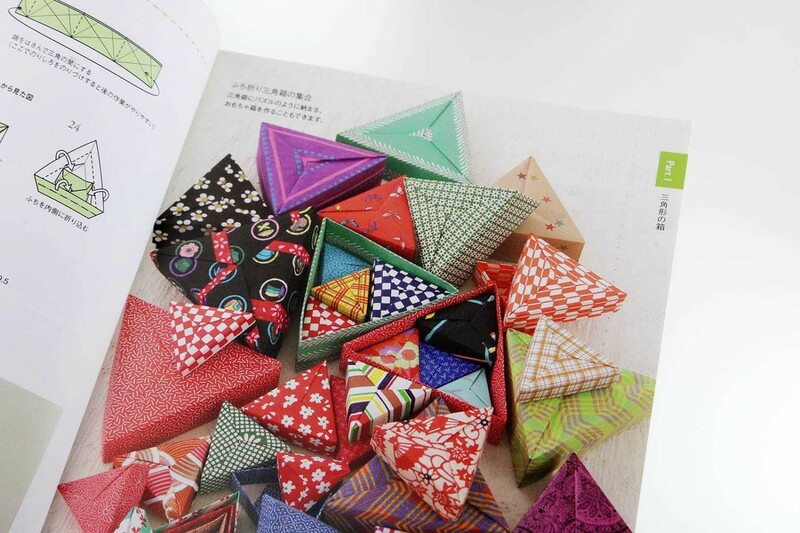 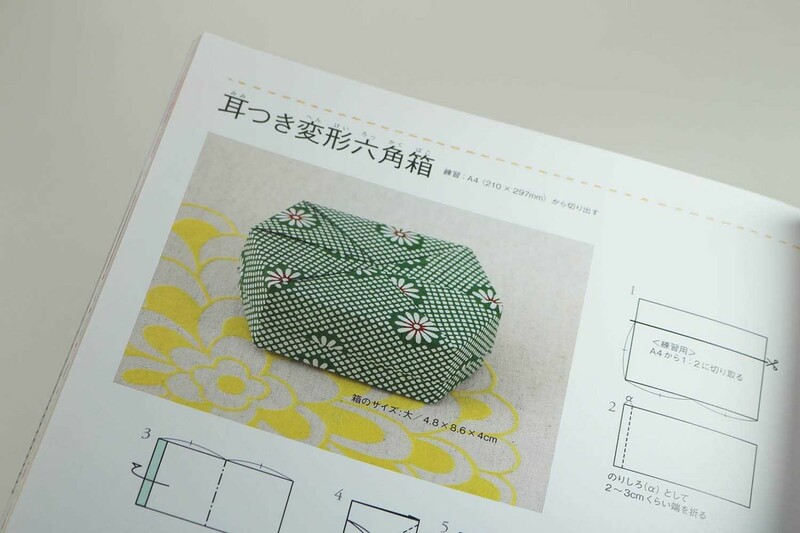 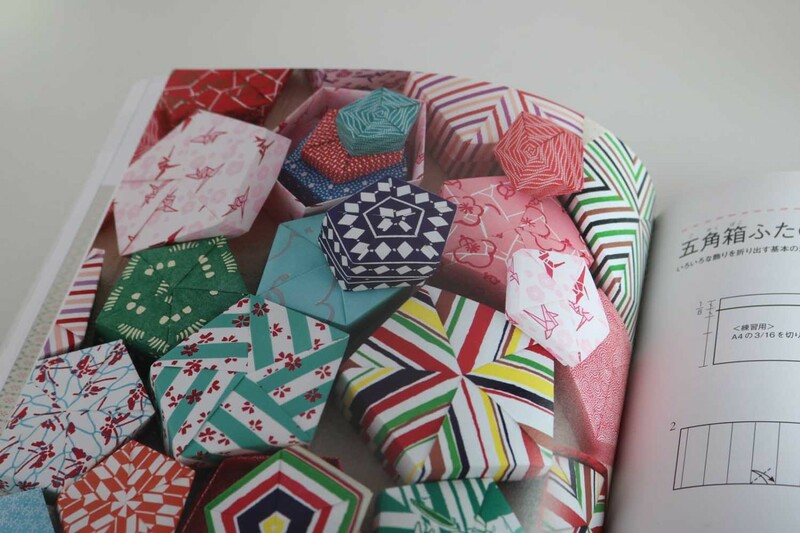 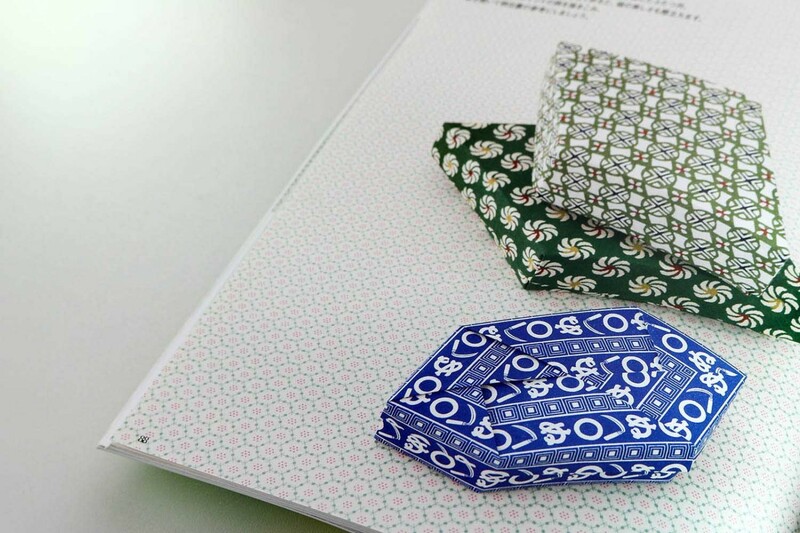 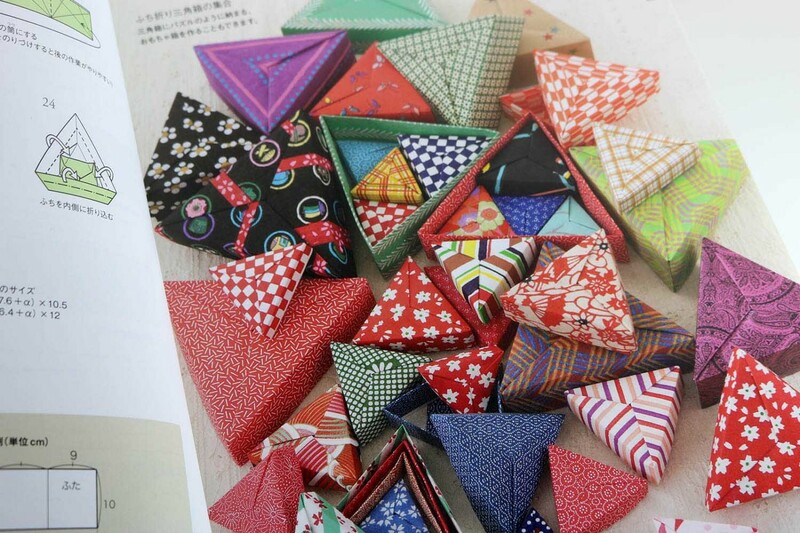 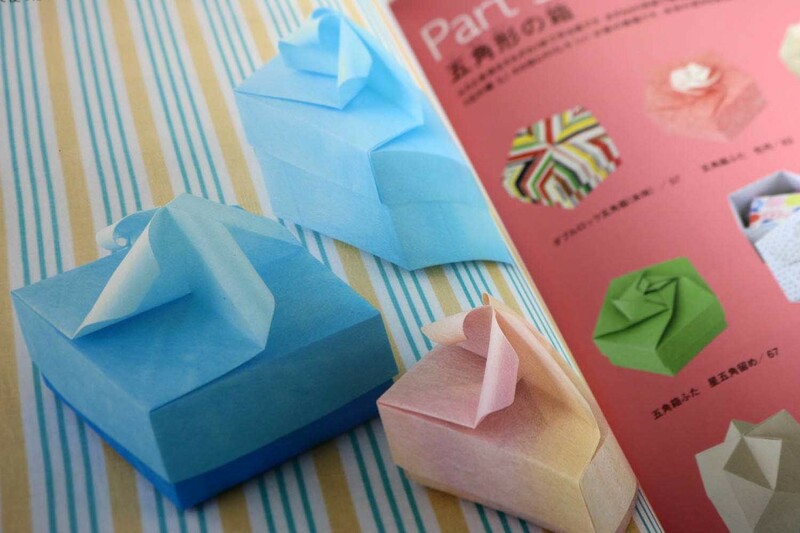 Chapter 1 shows a triangular box with eight different lid variations. 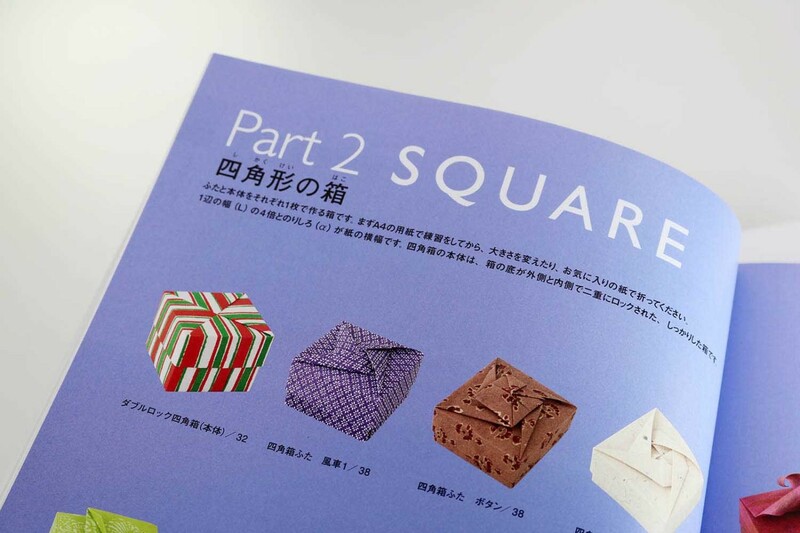 The second chapter shows 15 different square boxes, low and high, also with very different lids. 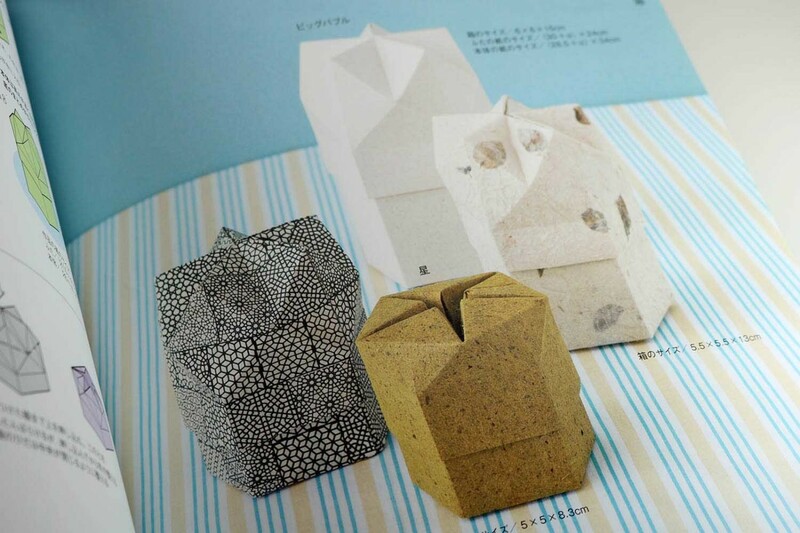 Chapter 3 shows 10 pentagonal boxes, also of different heights and with varied lid variations. 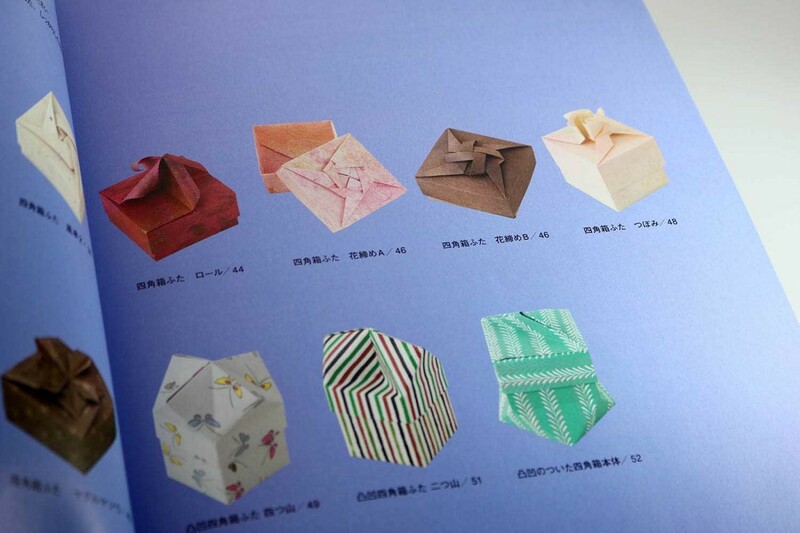 The last chapter presents 5 different rectangular boxes. 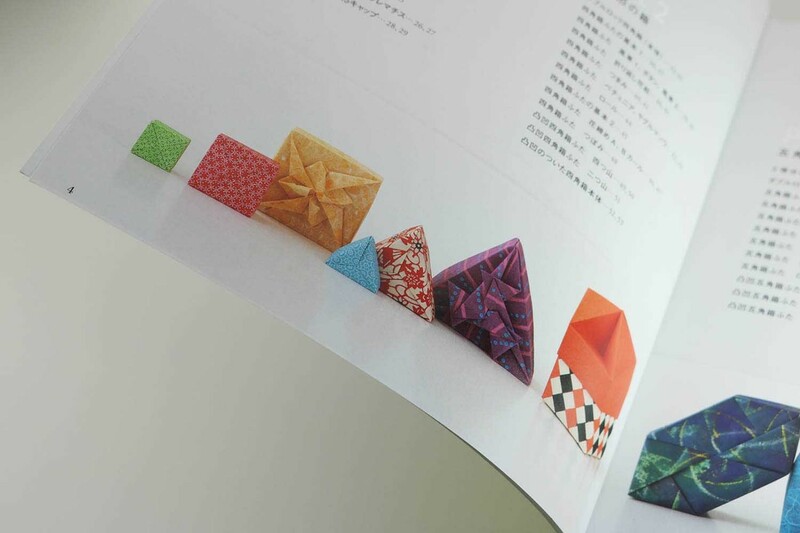 The book is colorful throughout and contains many beautiful and inspiring photos. 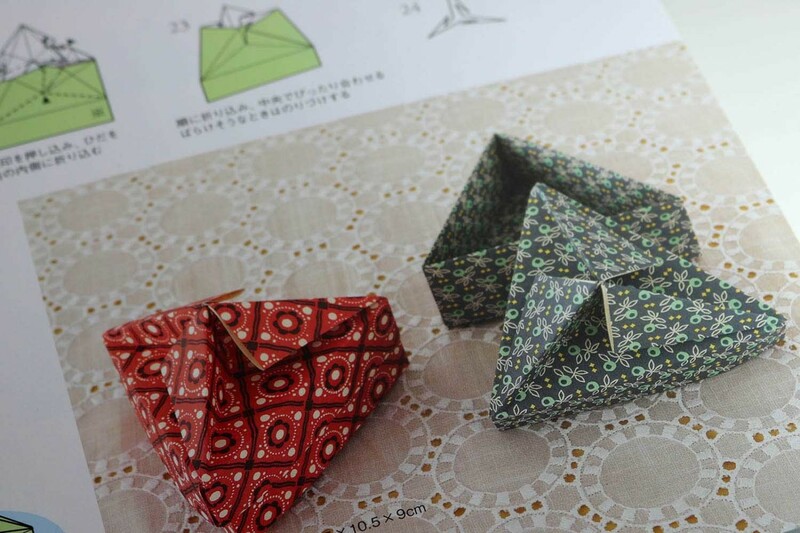 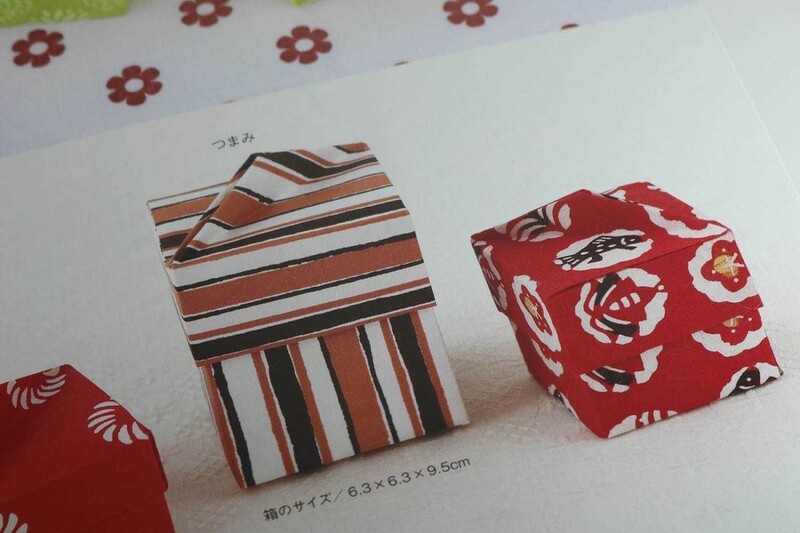 Thanks to Tomoko Fuse’s excellent instructions, the folding and assembling of the boxes is not a problem.